The Hague Conventions of 1899 and 1907 are a series of international treaties and declarations negotiated at two international peace conferences at The Hague in the Netherlands. 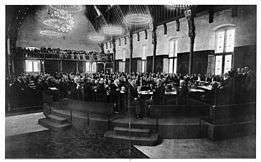 The First Hague Conference was held in 1899 and the Second Hague Conference in 1907. Along with the Geneva Conventions, the Hague Conventions were among the first formal statements of the laws of war and war crimes in the body of secular international law. A third conference was planned for 1914 and later rescheduled for 1915, but it did not take place due to the start of World War I. The Hague Conventions of 1899 and 1907 were the first multilateral treaties that addressed the conduct of warfare and were largely based on the Lieber Code, which was signed and issued by U.S. President Abraham Lincoln to the Union Forces of the United States on 24 April 1863, during the American Civil War. The Lieber Code was the first official comprehensive codified law that set out regulations for behavior in times of martial law; protection of civilians and civilian property and punishment of transgression; deserters, prisoners of war, hostages, and pillaging; partisans; spies; truces and prisoner exchange; parole of former rebel troops; the conditions of any armistice, and respect for human life; assassination and murder of soldiers or citizens in hostile territory; and the status of individuals engaged in a state of civil war against the government. As such, the codes were widely regarded as the best summary of the first customary laws and customs of war in the 19th century and were welcomed and adopted by military establishments of other nations. The 1874 Brussels Declaration (which was never adopted by all major nations) listed 56 articles that drew inspiration from the Lieber Code. Much of the regulations in the Hague Conventions were borrowed heavily from the Lieber Code. Both conferences included negotiations concerning disarmament, the laws of war and war crimes. A major effort in both conferences was the creation of a binding international court for compulsory arbitration to settle international disputes, which was considered necessary to replace the institution of war. This effort, however, failed at both conferences; instead a voluntary forum for arbitration, the Permanent Court of Arbitration, was established. Most of the countries present, including the United States, the United Kingdom, Russia, France, China, and Persia, favored a process for binding international arbitration, but the provision was vetoed by a few countries, led by Germany. This convention included the creation of the Permanent Court of Arbitration, which exists to this day. The section was ratified by all major powers and many smaller powers - 26 signatories in all, including Germany, Austria-Hungary, Belgium, China, Denmark, Spain, United States of America, Mexico, France, Great Britain and Ireland, Greece, Italy, Japan, Luxembourg, Montenegro, the Netherlands, Persia, Portugal, Romania, Russia, Serbia, Siam, Sweden and Norway, Switzerland, Turkey and Bulgaria. This voluminous convention contains the laws to be used in all wars on land between signatories. It specifies the treatment of prisoners of war, includes the provisions of the Geneva Convention of 1864 for the treatment of the wounded, and forbids the use of poisons, the killing of enemy combatants who have surrendered, looting of a town or place, and the attack or bombardment of undefended towns or habitations. Inhabitants of occupied territories may not be forced into military service against their own country and collective punishment is forbidden. The section was ratified by all major powers mentioned above. This convention provides for the protection of marked hospital ships and requires them to treat the wounded and shipwrecked sailors of all belligerent parties. It too was ratified by all major powers. This declaration provides that, for a period of five years, in any war between signatory powers, no projectiles or explosives would be launched from balloons, "or by other new methods of a similar nature." The declaration was ratified by all the major powers mentioned above, except the United Kingdom and the United States. This declaration states that, in any war between signatory powers, the parties will abstain from using projectiles "the sole object of which is the diffusion of asphyxiating or deleterious gases." Ratified by all major powers, except the United States. This declaration states that, in any war between signatory powers, the parties will abstain from using "bullets which expand or flatten easily in the human body." This directly banned soft-point bullets (which had a partial metal jacket and an exposed tip) and "cross-tipped" bullets (which had a cross-shaped incision in their tip to aid in expansion, nicknamed "Dum Dums" from the Dum Dum Arsenal in India). It was ratified by all major powers, except the United States. The second conference, in 1907, resulted in conventions containing only few major advancements from the 1899 Convention. However, the meeting of major powers did prefigure later 20th-century attempts at international cooperation. The second conference was called at the suggestion of U.S. President Theodore Roosevelt in 1904, but it was postponed because of the war between Russia and Japan. The Second Peace Conference was held from 15 June to 18 October 1907. The intent of the conference was to expand upon the 1899 Hague Convention by modifying some parts and adding new topics; in particular, the 1907 conference had an increased focus on naval warfare. The British attempted to secure limitation of armaments, but these efforts were defeated by the other powers, led by Germany, which feared a British attempt to stop the growth of the German fleet. Germany also rejected proposals for compulsory arbitration. However, the conference did enlarge the machinery for voluntary arbitration and established conventions regulating the collection of debts, rules of war, and the rights and obligations of neutrals. This convention confirms and expands on Convention (I) of 1899. As of 2014, this convention is in force for 99 states, and 115 states have ratified one or both of the 1907 Convention (I) and the 1899 Convention (I), which together are the founding documents of the Permanent Court of Arbitration. This convention sets out the accepted procedure for a state making a declaration of war. This convention confirms, with minor modifications, the provisions of Convention (II) of 1899. All major powers ratified it. This convention updated Convention (III) of 1899 to reflect the amendments that had been made to the 1864 Geneva Convention. Convention (X) was ratified by all major states except the United Kingdom. It was subsequently superseded by Second Geneva Convention. This convention would have established the International Prize Court for the resolution of conflicting claims relating to captured ships during wartime. It is the one convention that never came into force. It was ratified only by Nicaragua. This declaration extended the provisions of Declaration (IV,1) of 1899 to the close of the planned Third Peace Conference (which never took place). Among the major powers, this was ratified only by China, United Kingdom, and the United States. The Brazilian delegation was led by Ruy Barbosa, whose contributions are seen today by some analysts as essential for the defense of the principle of legal equality of nations. The British delegation included Sir Edward Fry, Sir Ernest Satow, the 11th Lord Reay (Donald James Mackay) and Sir Henry Howard as delegates, and Eyre Crowe as a technical delegate. The Russian delegation was led by Fyodor Martens. The Uruguayan delegation was led by José Batlle y Ordóñez, a defender of the idea of compulsory arbitration. Paul Henri d'Estournelles de Constant was a member of the French delegation for both the 1899 and 1907 delegations. 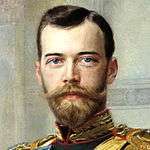 He later won the Nobel Peace Prize in 1909 for his efforts. Korea made a futile effort to take part in the conference, in an incident known as the Hague Secret Emissary Affair. Emperor Gojong dispatched Yi Jun, Yi Sang-Seol and Yi Wi-Jong as envoys to the second peace conference, to argue that the Eulsa Treaty was unjust and the Japanese Empire had used force to absorb the Korean peninsula; the Korean diplomats sought help from the international society to recover Korea's diplomatic sovereignty. An American missionary, Homer Hulbert, also travelled to The Hague to argue against the treaty. All four men were denied entry by Japanese and British forces. Though not negotiated in The Hague, the Geneva Protocol to the Hague Conventions is considered an addition to the Conventions. Signed on 17 June 1925 and entering into force on 8 February 1928, its single article permanently bans the use of all forms of chemical and biological warfare. The protocol grew out of the increasing public outcry against chemical warfare following the use of mustard gas and similar agents in World War I, and fears that chemical and biological warfare could lead to horrific consequences in any future war. The protocol has since been augmented by the Biological Weapons Convention (1972) and the Chemical Weapons Convention (1993). Many of the rules laid down at the Hague Conventions were violated in World War I. The German invasion of Belgium, for instance, was a violation of Convention (III) of 1907, which states that hostilities must not commence without explicit warning. Poison gas was introduced by Germany and used by all major belligerents throughout the war, in violation of the Declaration (IV, 2) of 1899 and Convention (IV) of 1907, which explicitly forbade the use of "poison or poisoned weapons". Writing in 1918, the German international law scholar and neo-Kantian pacifist Walther Schücking called the assemblies the "international union of Hague conferences". Schücking saw the Hague conferences as a nucleus of a future international federation that was to meet at regular intervals to administer justice and develop international law procedures for the peaceful settlement of disputes, asserting that "a definite political union of the states of the world has been created with the First and Second Conferences." After World War II, the judges of the military tribunal of the Trial of German Major War Criminals at Nuremberg Trials found that by 1939, the rules laid down in the 1907 Hague Convention were recognised by all civilised nations and were regarded as declaratory of the laws and customs of war. Under this post-war decision, a country did not have to have ratified the 1907 Hague Convention in order to be bound by them. Although their contents have largely been superseded by other treaties, the Hague Conventions of 1899 and 1907 continue to stand as symbols of the need for restrictions on war and the desirability of avoiding it altogether. Since 2000, Convention (I) of 1907 on the Pacific Settlement of International Disputes has been ratified by 20 additional states. Wikisource has the text of the 1911 Encyclopædia Britannica article Peace Conferences. ↑ "Brussels Declaration 1874". purdue.edu. Retrieved 4 February 2015. ↑ Judith Gardam (21 July 2011). Necessity, Proportionality and the Use of Force by States. Cambridge University Press. ISBN 0-5211-7349-3. ↑ Paul R. Bartrop and Samuel Totten (30 November 2007). Dictionary of Genocide [2 volumes]. Greenwood. ISBN 0-3133-2967-2. ↑ Burrus M. Carnahan (20 March 2008). Lincoln on Trial: Southern Civilians and the Law of War. University Press of Kentucky. ISBN 0-8131-3459-5. ↑ Eyal Benvenisti (30 April 2012). The International Law of Occupation. Oxford University Press, USA. ISBN 0-1995-8889-9. ↑ John Fabian Witt (4 September 2012). Lincoln's Code: The Laws of War in American History. Free Press. ISBN 1-4165-6983-9. ↑ Michael Haas (20 March 2008). International Human Rights: A Comprehensive Introduction. Routledge. ISBN 0-4157-7455-1. ↑ Convention pour le règlement pacifique des conflits internationaux (official French text). ↑ Certified true copy of the Convention for the pacific settlement of international disputes (1899). ↑ Convention with respect to the laws and customs of war on land (1899): Parties. ↑ Convention for the adaptation to maritime warfare of the principles of the Geneva Convention of 22 August 1864 (1899): Parties. ↑ Declaration concerning the prohibition of the discharge of projectiles and explosives from balloons or by other new analogous methods (1899): Parties. ↑ Declaration concerning the prohibition of the use of projectiles with the sole object to spread asphyxiating poisonous gases (1899): Parties. ↑ Convention pour le règlement pacifique des conflits internationaux (1907) (official French text). 1 2 Convention for the pacific settlement of international disputes (1907): Parties. ↑ Member States, Permanent Court of Arbitration, pca-cpa.org. ↑ Convention respecting the limitation of the employment of force for recovery of contract debts (1907): Parties. ↑ Convention relative to the opening of hostilities (1907): Parties. ↑ Convention respecting the laws and customs of war on land (1907): Parties. ↑ Convention relative to the rights and duties of neutral powers and persons in case of war on land (1907): Parties. ↑ Convention relative to the legal position of enemy merchant ships at the start of hostilities (1907): Parties. ↑ Convention relative to the conversion of merchant ships into war-ships (1907): Parties. ↑ Convention relative to the laying of automatic submarine contact mines (1907): Parties. ↑ Convention concerning bombardment by naval forces in time of war (1907): Parties. ↑ Convention for the adaptation to maritime warfare of the principles of the Geneva Convention (of 6 July 1906) (1907): Parties. ↑ Convention relative to certain restrictions with regard to the exercise of the right of capture in naval war (1907): Parties. ↑ Convention relative to the establishment of an International Prize Court (1907): Parties. ↑ Convention concerning the rights and duties of neutral Powers in naval war (1907): Parties. ↑ Declaration prohibiting the discharge of projectiles and explosives from balloons (1907): Parties. ↑ Robinson, James J., ABA Journal 46(9), p. 978. ↑ Telford Taylor (1 November 1993). The Anatomy of the Nuremberg Trials: A Personal Memoir. Little, Brown and Company. ISBN 0-3168-3400-9. Retrieved 20 June 2013. ↑ Walther Schücking, The international union of the Hague conferences, Clarendon Press, 1918. ↑ Judgement: The Law Relating to War Crimes and Crimes Against Humanity, available from the Avalon Project at the Yale Law School, Retrieved on 29 August 2014. Avalon Project at Yale Law School on The Laws of War—Contains the full texts of both the 1899 and 1907 conventions, among other treaties. ICRC International Humanitarian Law – Treaties & Documents, contains full texts and ratifying states of both the 1899 and 1907 conventions, among other treaties. The Hague conventions and declarations of 1899 and 1907, by James Brown Scott (ed.) Contains the texts of all conventions and the ratifying countries as of 1915. Hudson, Manley O. (January 1931). "Present Status of the Hague Conventions of 1899 and 1907". The American Journal of International Law. 25 (1): 114–117. doi:10.2307/2189634. Schlichtmann, Klaus (2003). "Japan, Germany and the Idea of the two Hague Peace Conferences". Journal of Peace Research. 40 (4): 377–394. doi:10.1177/00223433030404002. Schücking, Walther (1918). The International Union of the Hague Conferences. Oxford: The Clarendon Press. Trueblood, Benjamin F. (1899). The Federation of the World. Boston and New York: Houghton, Mifflin & Co.
Robinson, James J. (September 1960). "Surprise Attack: Crime at Pearl Harbor and Now". ABA Journal 46(9). American Bar Association. p. 978. Barcroft, Stephen. "The Hague Peace Conference of 1899". Irish Studies in International Affairs 1989, Vol. 3 Issue 1, pp 55–68. Bettez, David J. "Unfulfilled Initiative: Disarmament Negotiations and the Hague Peace Conferences of 1899 and 1907". RUSI Journal: Royal United Services Institute for Defence Studies, June 1988, Vol. 133 Issue 3, pp 57–62. Scott, James Brown, ed. The Hague Peace Conferences of 1899 and 1907, Vol. 1, The Conferences. (The Johns Hopkins Press 1909). Trueblood, Benjamin Franklin (1914). The two Hague conferences and their results. American Peace Society. Tuchman, Barbara (1996). The Proud Tower. Ballantine Books. ISBN 0345405013. Wikimedia Commons has media related to Hague Convention of 1899. Wikimedia Commons has media related to Hague Convention of 1907.